Things are hotting up in Earper Land in the run-up to the Season 3 Premiere next week. With each new day that passes, there is new fan art being released, more podcasts, and more competitions and giveaways. New content has come again this week, and if you’ve been absent from Twitter, we have your weekly wrap up of all things Earp. Let’s get this HYPE train on the go, shall we? A HUGE thing that happened is that the New York Times published an article, online and in print, about Wynonna Earp written by Mo Ryan. This is some amazing exposure for our ‘little’ show. I, myself, went out for a long walk on the Sunday of its publication, July 8th, to find several copies of it to share with friends who did not have access to it. Next up, things look to be Wayhaught in the Season 3 Premiere Sneak Peak posted today on IGN. Our fearless leader, Emily Andras, has been teasing us all since the cast wrapped filming on Twitter. This week was no exception. On Friday, July 12, 2018, we finally got to see that scene on IGN and now you can watch it here. Third in our train, is the news that there is a time period of four and a half months between Season 2 and Season 3. But what happens in those months? Well, you can read all about it on the app Yarn. Yarn is a story based platform which allows readers to read stories through text messages between characters. The Wynonna Earp Yarn will contain 10 episodes, with three being released today and a further seven to be released, one each day until the premiere. The messages themselves are between The Earp Sisters. Doc and Wynonna. Dolls and Nicole. WayHaught. If podcasts are your thing, we have news about not one, but TWO of them! First up is the Wynonna Earp podcast Tales of the Black Badge, who announced that they will be releasing five podcasts within 10 days to reach 100 podcasts by the Premiere. That’s one new Podcast every two days! Hosted by Bonnie Ferrar and Kevin Bachelder, the podcast has interviewed the cast, our showrunner, the creator of the comic book series Beau Smith, weekly discussions about the episodes after they air, as well as holding podcasts dedicated to fan theories. 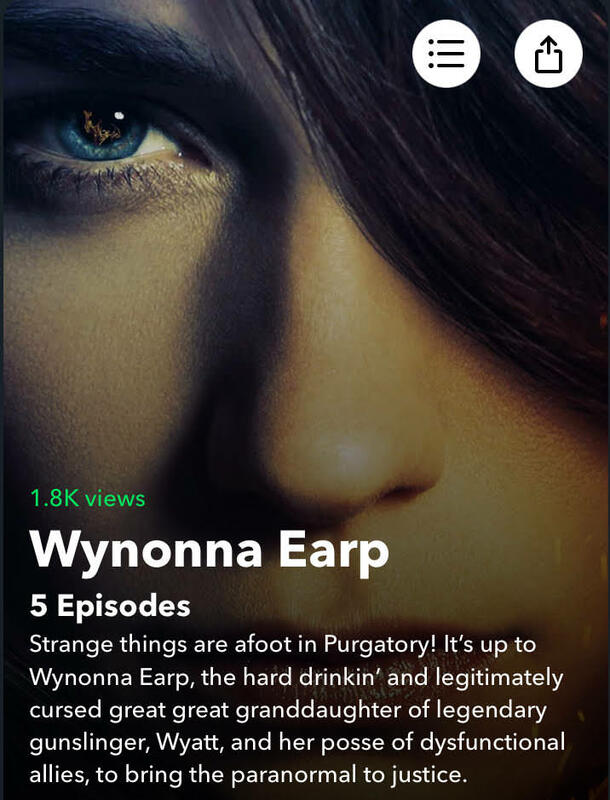 The next podcast is a brand new one by Syfy themselves who have created The Official Wynonna Earp Podcast under Syfyfangrrls and hosted by Katie Wilson. The podcast will have weekly post-show discussions and the occasional drop in from the cast. The details can be found here. We have good news for UK fans of the show as well. 5Spike has picked the show up for broadcasting Season 3! Season 3 will air in the UK on Friday nights starting on July 27th. An exclusive first look image of Wynonna Earp from Entertainment Weekly. I’ve probably missed some of the content and news that came our way this week, but what can you expect? The show is gearing up for its premiere in just a matter of days, and new content is coming out pretty much every day. But it’s been one hell of a week here in Earper Land, and I for one cannot wait for the new episodes next week! 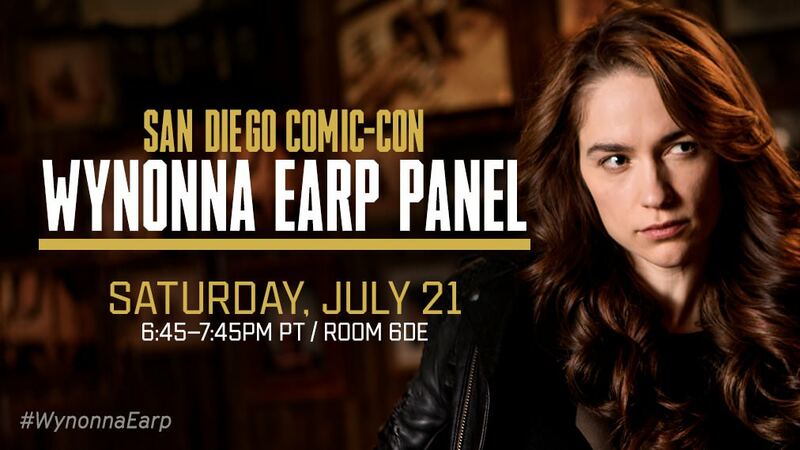 Next Post SDCC Superhero Saturday: Wynonna Earp Renewed for Season 4, Supergirl casts first Transgender Superhero and more!